Redlatif members met at NOAA, Md, the first week of October 2018. The meeting was held with START support. Since the last meeting in INPE, the netwok has been using GEE to evaluate the potential of time series to improve Burned Area detection. A new model is under review, which is based on maximum values of prefire-NBR-values and the filtering of clouds, shadows and bare soils. 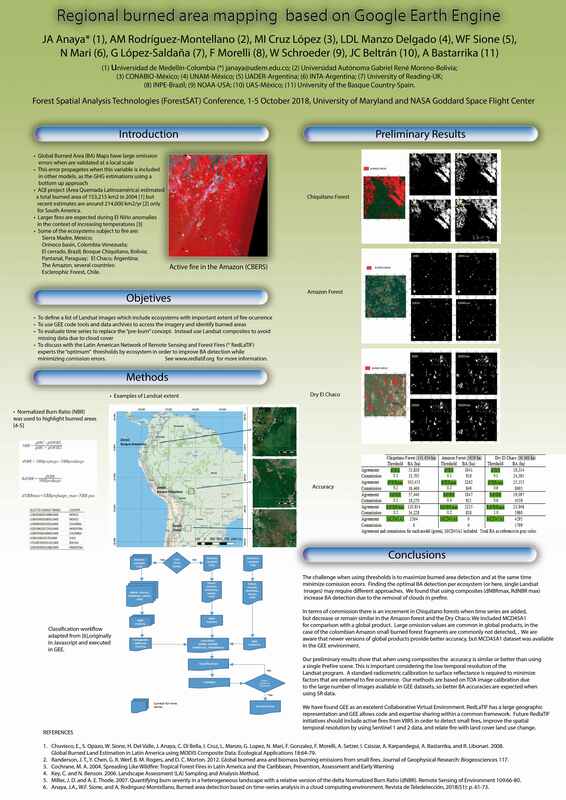 Preliminary results were presented in the ForestSAT 2018 (POSTER), organized by The University of Maryland and NASA Goddard space flight center.